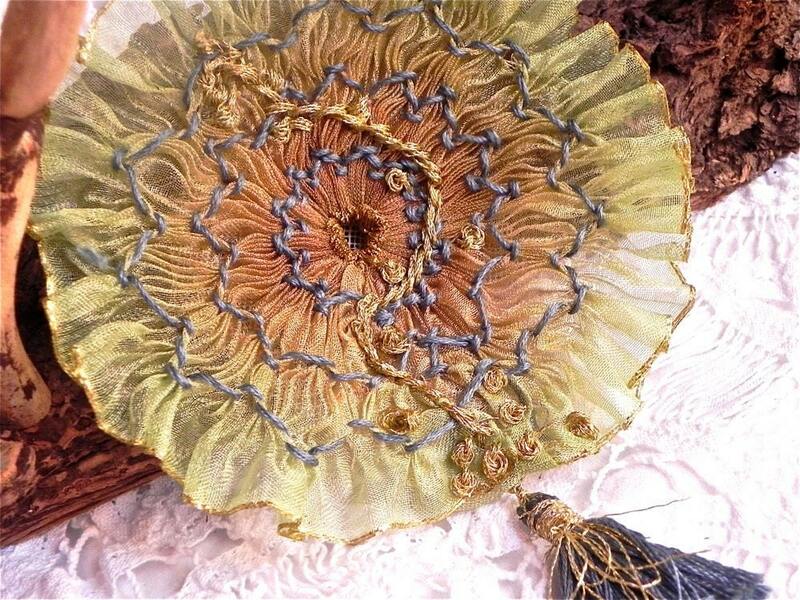 This one of a kind millinery flower is created with heirloom sewing techniques taken from antique millinery and couture gowns. 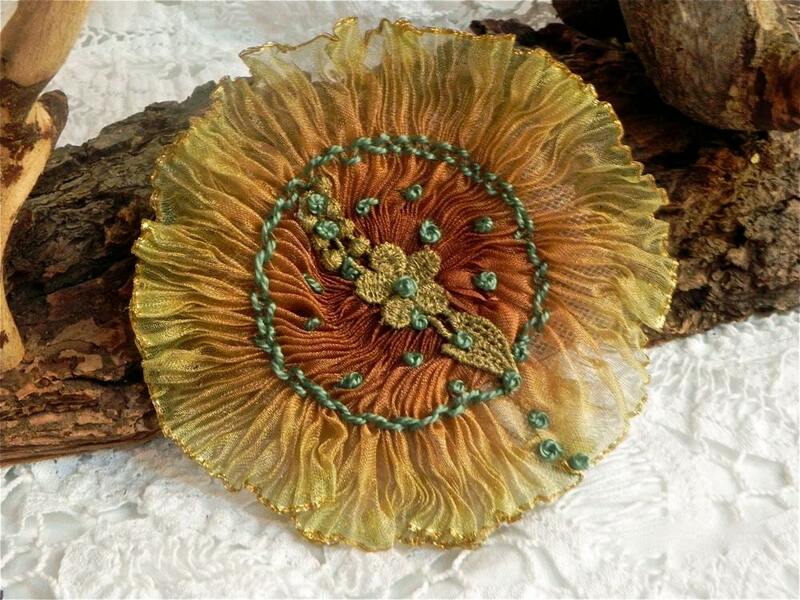 This piece is made of old millinery stock ribbon that fades from green to rust, perfect for Fall, the ends are tipped with gold. 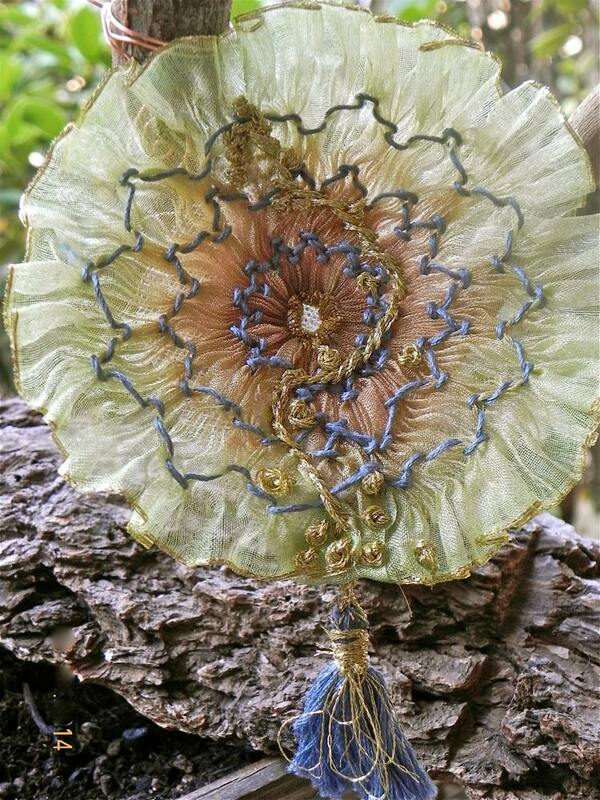 It is pleated and then smocked with blue embroidery thread. 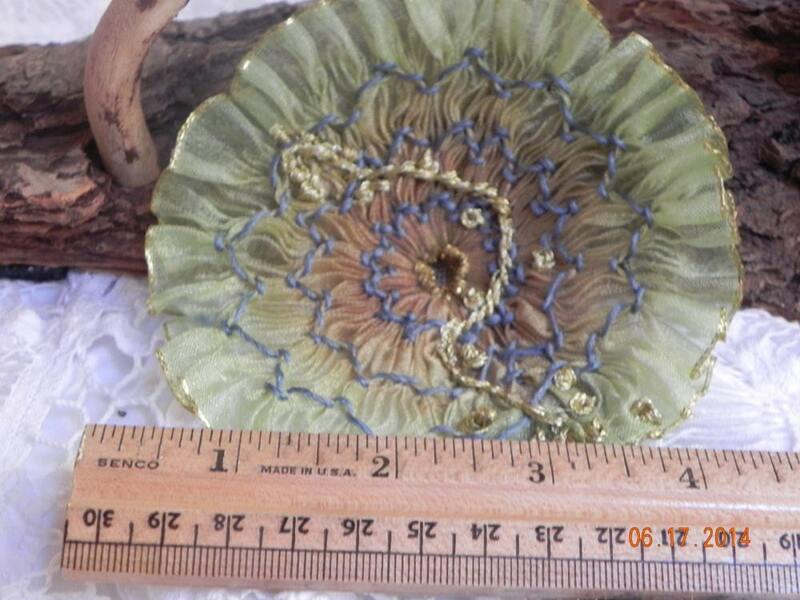 There is a gold embroidered vine with french knots across the center of the flower. 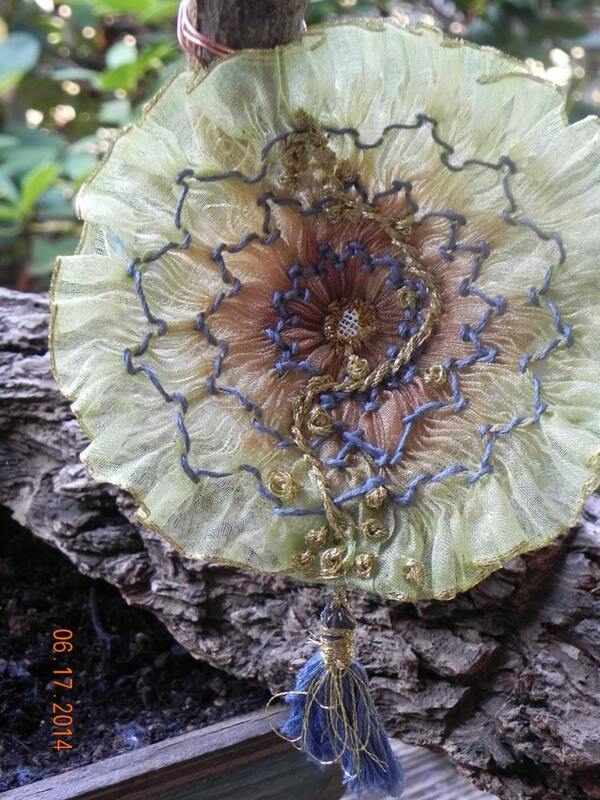 I created a blue and gold tassel from the thread used in the flower to dangle from the bottom. This is a stunning piece and measures approx 4 to 4 1/2 inches at it widest point, not including the tassel. This is created as an applique please advise, at time of purchase if you need to add a fastener.